ARLINGTON, Va. – U.S. for-hire truck tonnage rose 2% in January, reflecting a solid freight environment in a typically weak month. 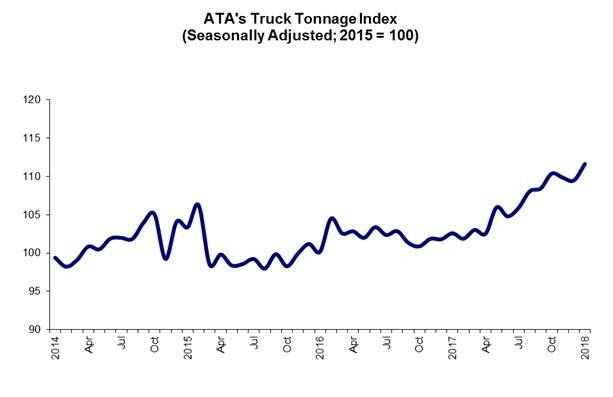 The American Trucking Associations (ATA) For-Hire Truck Tonnage Index was up 8.8% year-over-year. For all of 2017, the index was up 3.8% over 2016, the ATA reports.